Build Abroad has been a project in the making for the last 4 years and we are excited to finally share it with the world. Now that we’re live, we would like to give a quick introduction and a brief overview of our plans for the future. Build Abroad’s mission is to build and repair communities in developing nations through socially conscious construction. We offer voluntourism trips to Costa Rica with plans to expand to neighboring countries in the very near future. We first came up with the idea for Build Abroad in 2010. We were college roommates during our final year of architecture school at Miami University. Our goal was to find a way to travel the world and use our architecture skills to serve developing countries. We knew we had something, but we couldn’t quite put the pieces together. The idea stayed in the back of our minds for the last several years until we were finally able to articulate a plan and execute. In 2013 we really started focusing; coming up with a logo, designing the website, planning our first trip, and registering the business. 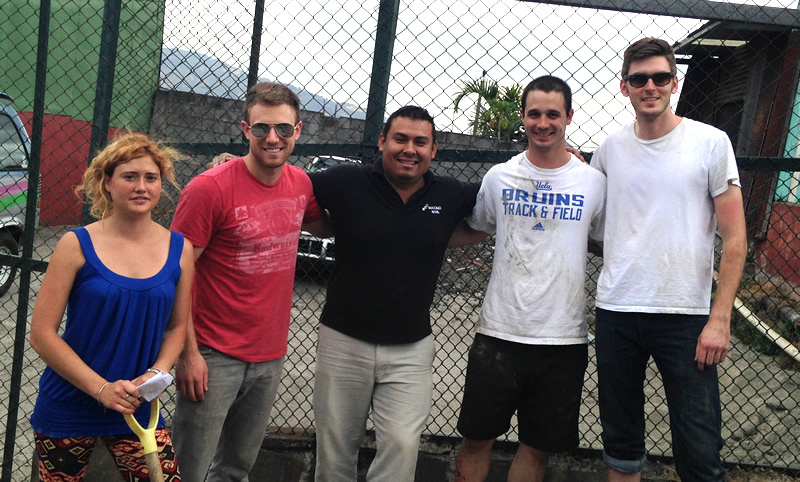 In March of 2014 we took our first trip as Build Abroad to San Jose, Costa Rica. During the trip we volunteered at multiple construction sites and really got a feel for what the local communities needed. Taking the trip also helped us realize what we wanted the experience to be like for our volunteers. Over the last month, we have been working long hours to get everything ready to release to the world. Our next steps will be to finalize several more partnerships and start offering trips to even more countries. We have big plans for the future of Build Abroad. Over the next few years we will be expanding to South America, Asia, and Africa. We also plan on assisting with disaster relief and designing larger scale community projects. Stay tuned! Feel free to explore our site to learn even more about what we do and how you can help. Thanks for stopping by and we hope to see you in Costa Rica on our next trip!